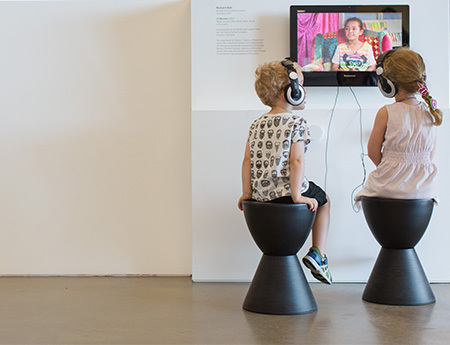 As part of 'The 8th Asia Pacific Triennial of Contemporary Art', APT8 Kids features a number of interactive artworks, hands on and multimedia activities created by exhibiting artists especially for children and families. 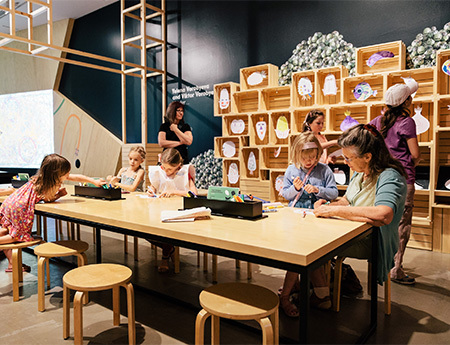 Offering a rich participatory experience and curated to reflect key themes of the exhibition, APT8 Kids provides meaningful insights into contemporary art created across Australia, Asia and the Pacific. 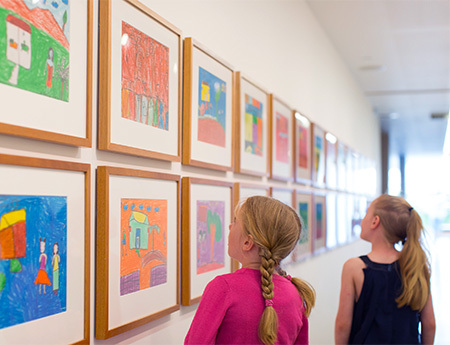 The APT8 Kids projects are displayed in spaces across both the Queensland Art Gallery (QAG) and Gallery of Modern Art (GOMA) buildings, including the Children's Art Centre at GOMA. 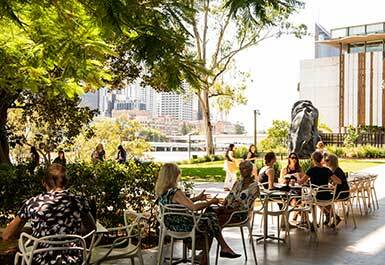 APT8 Kids on Tour will provide children and families throughout Queensland with the opportunity to enjoy 'APT8 Kids' at their local venue from January to March 2016. 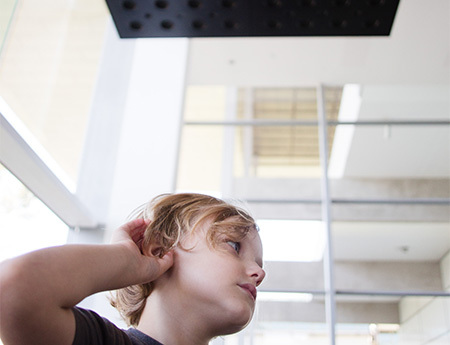 Everyday Whispers invites children to record a wish in a specially designed recording booth. Over the course of the exhibition wishes will be collected and played through a panel of speakers suspended from the ceiling. As visitors walk underneath they will encounter a choir of indistinct voices, a rain of wishes. Korean artist Choi Jeong-Hwa encourages young visitors to activate a large-scale installation where they can explore the beauty of everyday objects by creating mandala-like shapes using a colourful array of plastic bottle caps and lids. Nge Lay visited a school in Myanmar and asked children to create drawings to celebrate the importance of family. A selection of these drawings is on display at the Gallery. 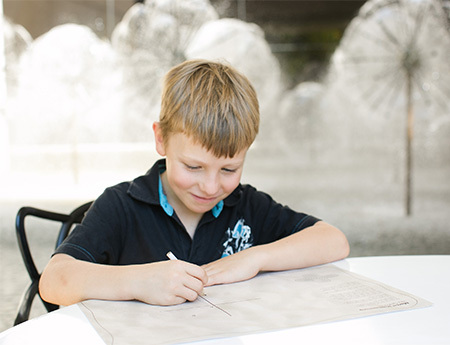 Drawings created by children in Queensland will be exchanged with the participants in Myanmar. 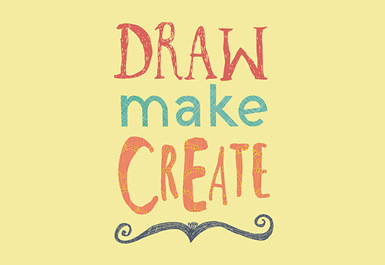 This display is part of an ongoing series of APT drawing projects that seeks to connect children from different cultures around the world through drawing. Hetain Patel presents a series of photographs of children dressed in homemade superhero outfits jumping into the air. 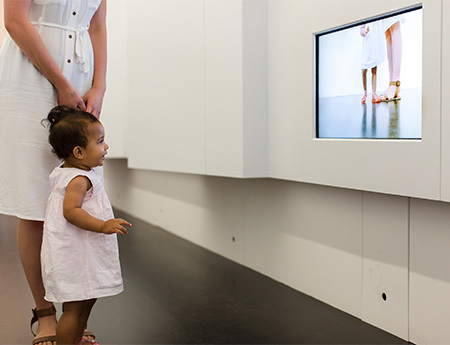 Children are invited to dress up as superheroes, and upload their own photograph to a digital display in the space. Marcel Meltherorong introduces children to the art of sand drawing, an important way of sharing information and stories in some parts of Vanuatu. Children are invited to complete a drawing template based on a traditional yam design called Na Ghimbo from the island of Vao. Vietnamese artist UuDam Tran Nguyen invites children to explore how technology can connect people, even over vast distances. 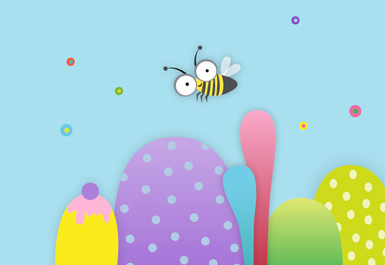 In Draw 2 Connect with License 2 Draw, young visitors can work together to create a digital drawing. Children will also be able to access the program online and interact with other players across the world. 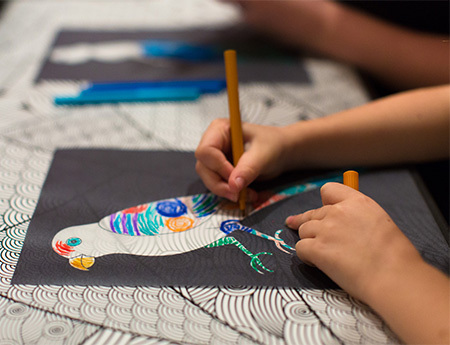 Play with Your Birds invites young visitors to explore the tiputa, a type of garment originally created in Tahiti and widely used throughout the Pacific. 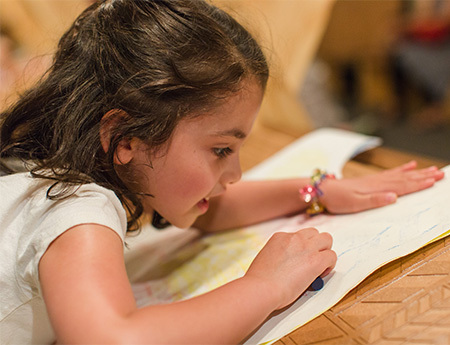 Children can make their own Tiputa using specially design templates that can be embellished with rubbings of patterns carved into various surfaces of the space. Justin Shoulder and Bhenji Ra invite children to create their own mythical character by combining different physical attributes using specially designed templates. 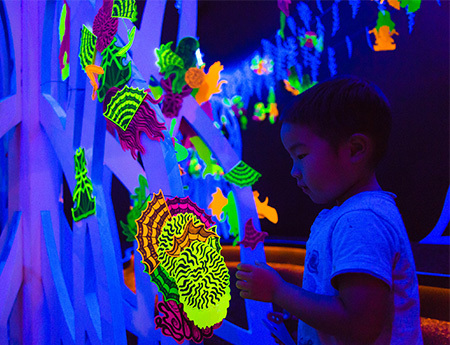 After completing their character, children can enter an immersive black-lit space and add their creation to a sculptural landscape. Indian artist Venkat Raman Singh Shyam presents a drawing activity for children based on the distinctive patterns used in Gond art and a story entitled The Woman and the Parrot. 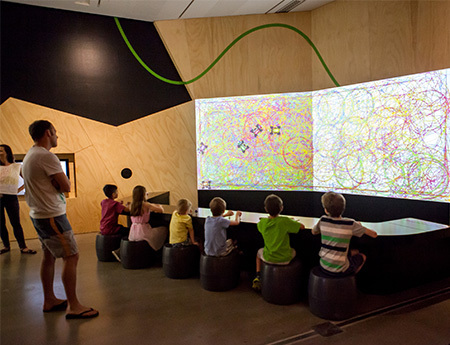 Young visitors are encouraged to learn about the meaning and significance of the different patterns included in the activity. 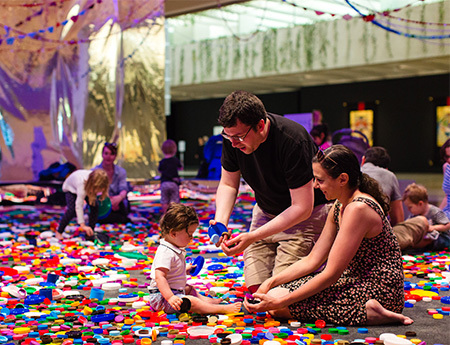 New Zealand artist Angela Tiatia invites children to explore ideas of representation and perception in this large-scale installation. 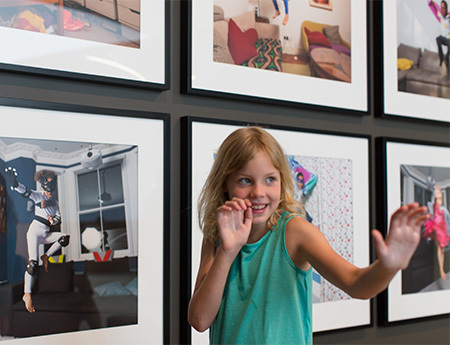 Young visitors can enter a series of spaces where they will encounter a number of unexpected views of themselves. For APT8 Kids, the artists present their work I Prefer Watermelons 2002, which depicts them transforming green tomatoes into watermelons by painting them with black stripes. In an accompanying activity, children can select a fruit or vegetable template and use their imagination to transform it into something different using coloured pens.